Cellphones: Cause or Symptom of Teen Anxiety? What You Can Do About It. 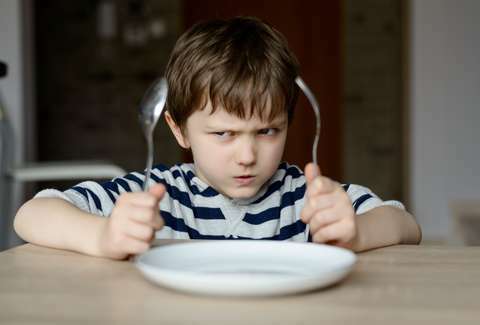 The ability to delay gratification in childhood is associated with better developmental outcomes. Today’s parents tend to think they were better at delaying gratification as children than their own kids are. According to this article, research indicates just the opposite. Today’s young children are better at it than were their parents and their grandparents. This should help with two things. One, it should help parents feel more positive toward their kids. Being positive towards a child is associated with better developmental outcomes. Two, it suggests that preschool has long-term benefits. Preschools emphasize such things as sharing, not interrupting, and waiting your turn. Improvements in delaying gratification may be the result of more kids going to preschool these days than did their parents and grandparents. Caveat: As the article points out, the research was done only with white children from more affluent and educated families. We have to also do these studies on a more diverse population. It is never easy for a parent to balance their own needs, and desires, with those of their child. Fortunately, children do not always need or even want their parent’s full attention. They just need it ‘reliably enough’. In fact, some degree of separateness is necessary and healthy for development. This article makes the case that our modern preoccupation with smart phones, however, has tipped the balance in an unhealthy direction. Parents these days, despite spending lots of time in the physical presence of their child, are frequently distracted by their cell phone and thus are frequently inattentive totheir child. Sadly, this is a topic that keeps rearing its ugly head. As parents and people who work with children many of us have the understandable instinct to shield our children from this latest national tragedy. But how can we shield our children from the atrocity when screens and media are everywhere? We can’t. What we can do, however, is support our children’s healthy coping with a frightening news story by calmly providing them with filtered, developmentally appropriate information about the event. Imagine you are six-years old. It is the morning after Halloween, a day you had looked forward to for weeks. After considerable deliberation you chose your costume. Maybe you and one of your parents helped you make the costume over many nights. Perhaps you braved the super spooky Halloween decorations at your neighborhood party store. Maybe you got to wear only some of your costume to school because masks and accessories aren’t allowed. You waited a near eternity for night to fall. Finally, night falls and you are hard at work, ringing the doorbell of every neighbor whose front porch light is on, carefully picking your favorite candies from the proffered bowl. “One-per-customer” at the house on the corner; “Take what you want” next door, score!. Your bag grew heavy, your legs grew heavy. When you got home you examined your loot and ate more than your parents wanted you to. You fell asleep thinking how to make your candy last til January, or maybe you would eat it all by Friday. Now imagine you wander into the kitchen the next morning, looking for your stash. Now imagine how you would feel. A recent opinion piece in the Washington Post by child psychiatrist Meg van Achterberg invites parents to consider the meanness of this very prank, a prank late-night television host Jimmy Kimmel has encouraged his adult audience members to play on their kids the morning after Halloween for the past six years. Jimmy Kimmel has become an admirable spokesperson for the need for health-care coverage for people with pre-existing conditions, something he has become sensitized to having recently had a child who has a preexisting condition. Perhaps, as his child comes to savor Halloween, Kimmel will come to imagine how his own child might experience such a prank and maybe even find it to be a little less funny. LINK: Jimmy Kimmel’s Halloween Prank can scar children. Why are we laughing? Jessica Borelli,Ph.D. ( director of the UCI THRIVE Lab) is a researcher whose work I admire. She studies the links between close relationships and health. As she is an expert on this subject, I asked her to comment on a recent article in the NYT about the increase in serious anxiety amongst teens. Some ways to translate her wise comments into something helpful to do: It is a complex problem. There are no sure fixes. As a reflective parent here are some ideas to consider that can help to reduce the pressure, the aloneness and the shame. Communicate acceptance: that no one is perfect; it is ok to not always get A’s or be the best. Counteract disaster thinking: that even if your child does not do as well as hoped, whether in school, sports or with a friend, that life is not ruined. Empathize with their upset, but role model optimism: that set backs and difficulties can be managed and dealt with in a positive way. Do what you can to encourage talking about it, not to keep it private. It is good for them to talk with you, so certainly always be available and to listen without judgement. Kids often want to talk at the most inopportune times, late at night, just when you are leaving to go for a run or have lunch with a friend, or even when you are about to go to work. Take the time when they offer it to you- even if it is not convenient. It pays off in the end. But also, when they are teens they need to talk with their friends. Even as you try and limit social media, you still want to encourage them to talk about their pressures and self-criticisms with their friends. Friends are usually way more accepting and supportive of them, than they are of themselves. When Kids Misbehave, don’t blame them for your reaction! You are at a restaurant with your closest friend and Carson your 7 year old son. Carson starts to misbehave. First, he tries to get up and leave. You bring him back. Then he starts to scream and bang his fork and spoon. It is embarrassing and it is disturbing your conversation with your friend and other diners sitting nearby. Carson asks for your phone to watch a video. At first you refuse. Carson keeps up the demand for the phone. Fortunately you are prepared. You take out paper and crayons. That does not work. You then take out a few favorite little toys. That does not work. Now you are annoyed at him. But finally, with a sigh of resignation you hand Carson your cell phone to watch a video. That immediately quiets him. Uh-oh, now you feel guilty and defeated. You have been told not to allow too much screen time. Then you reflect and eventually decide it’s OK. Here is your reflective thought process…..
You recognize you can’t both talk to your friend and pay attention to your child. You must choose. You realize your child is not being difficult. It is the situation that is difficult for your child. He’s probably bored and having a hard time sitting there for so long, so he is just trying to get your attention. You also reflect on the reason for your behavior. It might be your friend really needs you today to talk about a problem she is having, so you want to give her your full attention. Or it could be you need to just have time to relax with your friend and have a break from your child. The scene here is a restaurant. But similar misbehavior can happen anywhere– in the car, in the supermarket, when visiting relatives or when you have an important phone call. What should you have done? There is no right answer. Choosing to give your phone or not give your phone are both fine options. In other words, it depends. Reflective Parenting gives you choices. Choose what is going to work best for you, for your child and for the situation. But no matter what you choose to do, the point is to be honest with yourself. Take responsibility for your actions and your reasons for taking those actions. Here is what I mean. Often a parent’s choices are based more on the parent’s needs and feelings than on their child’s. In such cases your role is to recognize that what you are doing is about you and not about your child. The benefit of being honest is that you can turn a situation like giving in about the cell phone into a reflective learning experience for your child. Wow! What a gift to your child. This kind of reflective language with your child is critical to your child’s social and emotional development.